This research investigates localization and guidance systems as one of important future considerations for autonomous mobility within the built environment. 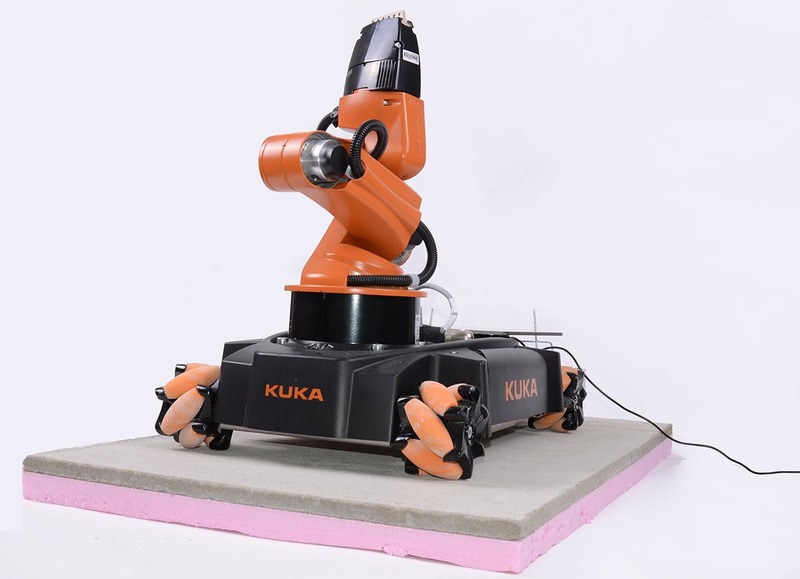 Specifically, it looks at embedding magnets within building construction assemblies, using magnetic sensors for autonomous navigation, and understanding the impact construction materials may have on magnetic-field-based localization and guidance systems of autonomous agents. This research was published at CAADRIA 2017 conference: CuminCAD paper link or Academia.edu repository page. The developments in personal and autonomous mobility unavoidably raise the question of the interface between the built environment (buildings, cities, and infrastructure) and autonomous agents (cars, drones, house robots, or assisted wheelchairs). This interface needs to consider and accommodate new players without an adverse impact on current users. This inclusive, yet well-tuned, integration will be critical in a successful transition from the current inert to future autonomously-empowered habitation. While the focus of these transformations may seem to be machine based, accommodating various forms of autonomous mobility, ultimately it will lead into more inclusive environments that will empower human users, particularly the elderly, mobility-impaired, and children. Line following is a common strategy for infrastructure/building navigation. 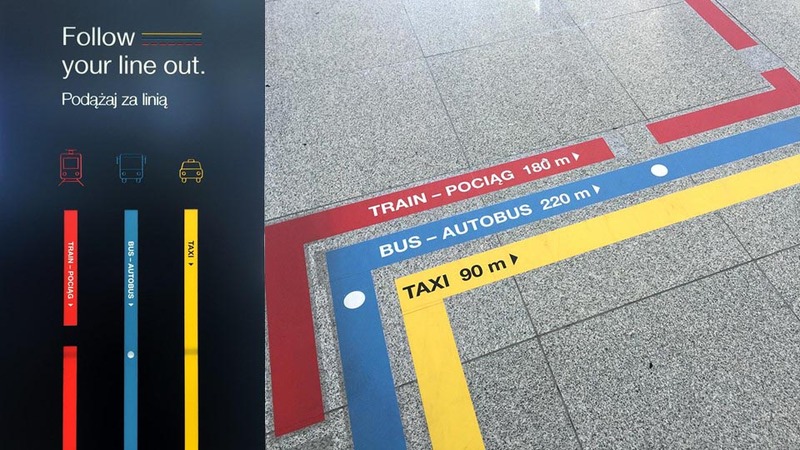 The need for the seamless integration of new and old users may suggest a particular approach to development of autonomous-mobility-friendly environments that focus on redefinement of materiality and placement of strategic micro-gestures (embedded capabilities) without an overall typological rethinking of what is expected from buildings today. This attitude could form the first step in making buildings and cities ready for an effective integration of autonomous agents. It would also help in defining a strategy for a transition toward autonomous mobility. 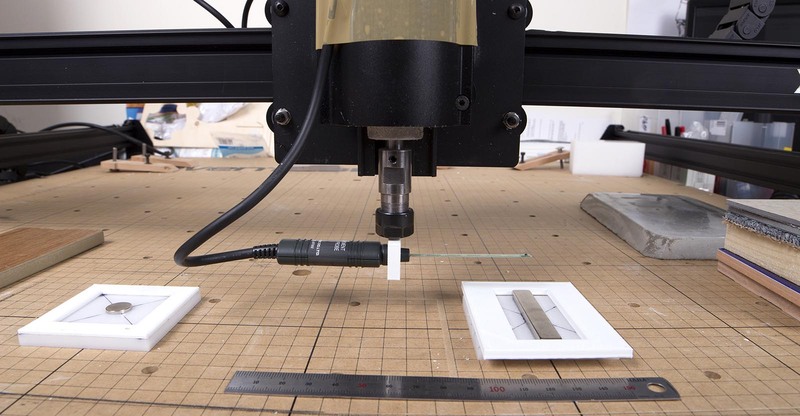 Two tests were performed to demonstrate the ability of the robot to localize based on magnets. The first test was a sideways movement using the omnidirectional wheels to locate the robot center to the magnet. Second, magnets were placed at various distances apart to allow the robot to move forward and stop when a new magnet was found, centering upon that magnet and then continuing. centering robot based on embedded magnets is demonstrated. As suspected, materials showed no significant variation in interference of the magnetic field. While it is possible these materials can interfere with electromagnetic fields, as seen in some cases of concrete, the concrete used in the present experiments did not show any interference. However, there was significant interference of the magnetic field when metal was introduced. The values measured from the magnet varied depending on the location. 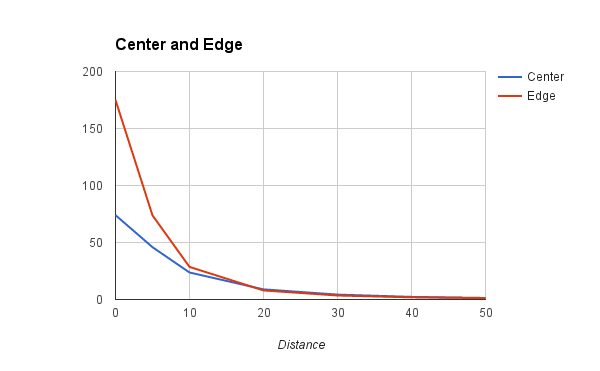 Figure below shows that the difference between the edge and center of the bar magnet had significant differences when tested close to the surface, but became similar as the measurement device moved further away. Left: Measurements from the center of the bar magnet. Right: Measurements from the edge of the magnet. Base is the measurement with no concrete or mesh. Bottom represents the mesh facing closest to the magnet with the concrete above. Middle is the mesh embedded in the middle of the concrete. Top is the wire mesh above the concrete. All data is based on the average of 3 separate measurements.